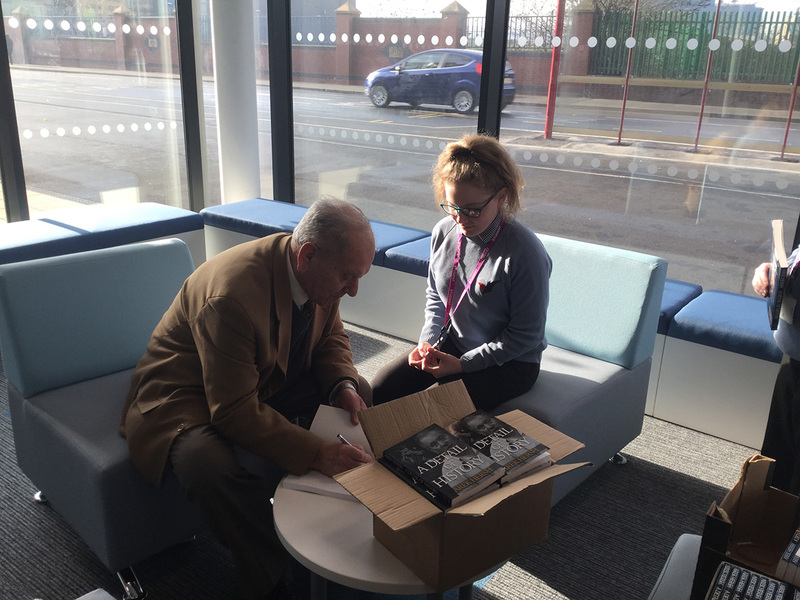 To mark Holocaust Memorial Day on Friday 27th of January, students were provided with an incredible opportunity this week when Arek Hersh, a survivor of Auschwitz came to speak to them about his experiences. Accompanied by his wife, Jean, Arek told of his early life living as a Jewish child through the Holocaust. His memories were harrowing and often brutal, but his survival and resilience also served as a real source of inspiration. Students embraced the opportunity and afterwards, reflected at length at what they had learnt from his remarkable and moving story. Hearing a survivor tell his story made me cry and now, I live every moment to the most because of him.” Aidan Robinson, Year 9.